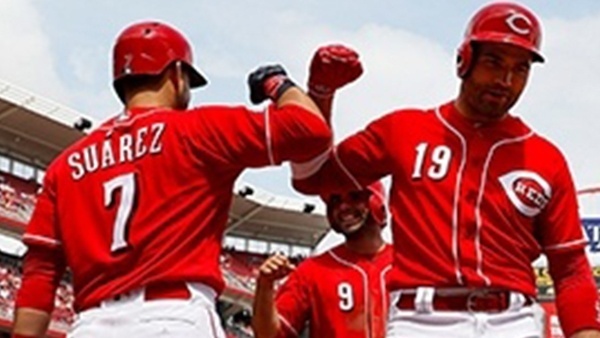 The Cincinnati Reds definitely seem like a team that is headed in the right direction. Will 2018 be the year they start competing again? Zack Cozart will be traded before the All Star Break. 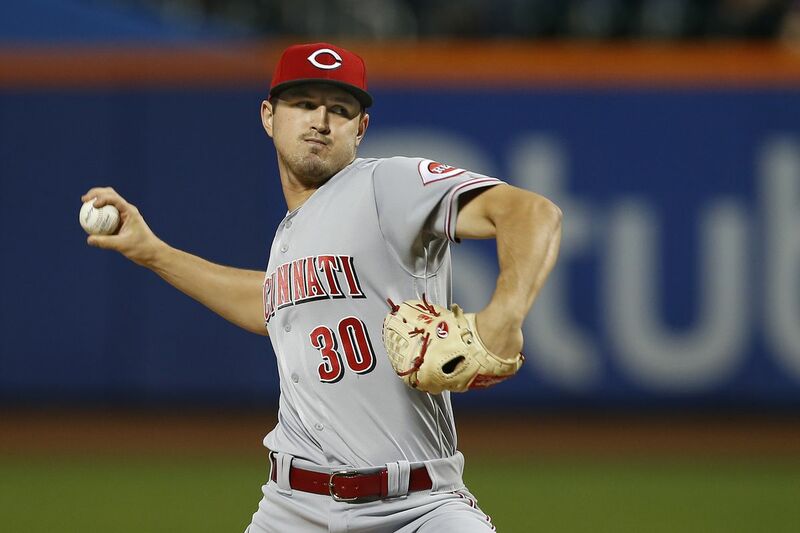 For the past few seasons, the Reds have been trying to hit the reset button on their franchise, but they seem reluctant to completely blow up their roster. 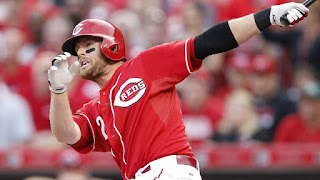 A few years ago, they waited too long to finally trade Brandon Phillips, and they chose to hold on to Zack Cozart last season instead of trade him at the Deadline. The positive for the Reds last year was a very productive lineup. They had six players hit over 20 home runs. The pitching was pretty horrible, earning a team ERA of 5.17 throughout the season. When their second best starter in terms of WAR was a guy that only started four games at the end of the season, there is a bit of a problem. Instead of trading Cozart mid-season last season, they let him walk in free agency and sign with the Angels. They really didn't make any additions to their roster beyond welcoming back guys like Anthony DeSclafani and Brandon Finnegan from injury. The Reds have some prolific power hitters. From an established star like Joey Votto to emerging stars like Adam Duvall, Scott Schebler, and Eugenio Suarez, the Reds know how to put the ball out of the park. What would help is if they had more guys on base when those balls leave the park. 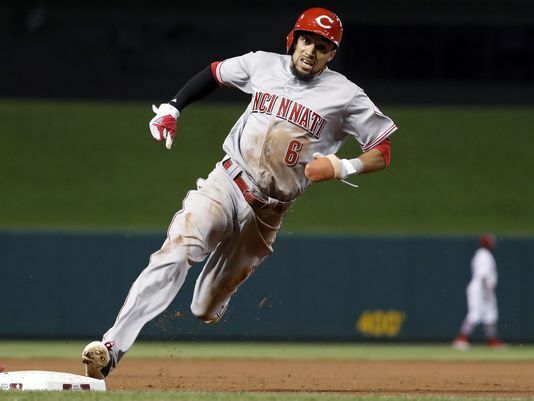 Billy Hamilton is well known as one of the fastest players in the game and one of the best defensive centerfielders as well. So when he ends 2017 with a 1.0 WAR, it's obvious his bat is a liability. He finished the season with a 66 OPS+ (league average is 100). If Billy Hamilton can round out his game and hit .280 instead of under .250, then the Reds' lineup will be that much more potent. The Reds threw some money at Homer Bailey back in 2014, thinking they had one of the more talented young arms in the game. However, after signing his 6 year $105 million contract, injuries completely derailed his career. 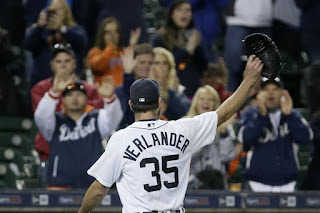 After breaking 200 innings in 2012 and 2013, he only reached 145 innings in 2014, which has been the only time he has broken 100 innings under the new contract. 2017 saw Bailey pitch enough to show he might finally be close to fully healthy. 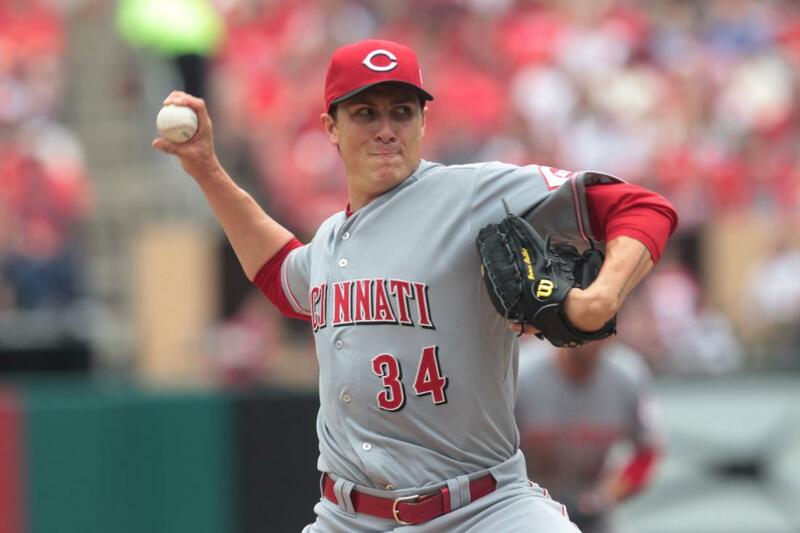 The first step to the Reds' pitching staff having more success this season is Homer Bailey starting to earn some of the money the Reds have been paying him the last few years. That starting pitcher I mentioned that was the Reds' second best starter in terms of WAR last season? That was Tyler Mahle. He was called up late in the season, started 4 games, and had some success, posting a 2.70 ERA in 20 innings. One of the best prospects in the Reds' system and only 23 years old, Mahle should play a big role in the Reds' rotation this season and beyond. As great as the Reds' offense is, the pitching is that bad. The Reds will be able to outscore some teams, but that is not sustainable. They need to consider signing one of the veteran starting pitchers that are still available to stabilize their staff. They do have some good years in front of them, but they need to wait for a few more of their arms to develop in the minors. By the time flamethrower and 2017 top draft pick Hunter Greene is ready in a few years, the Reds will be ready to compete. 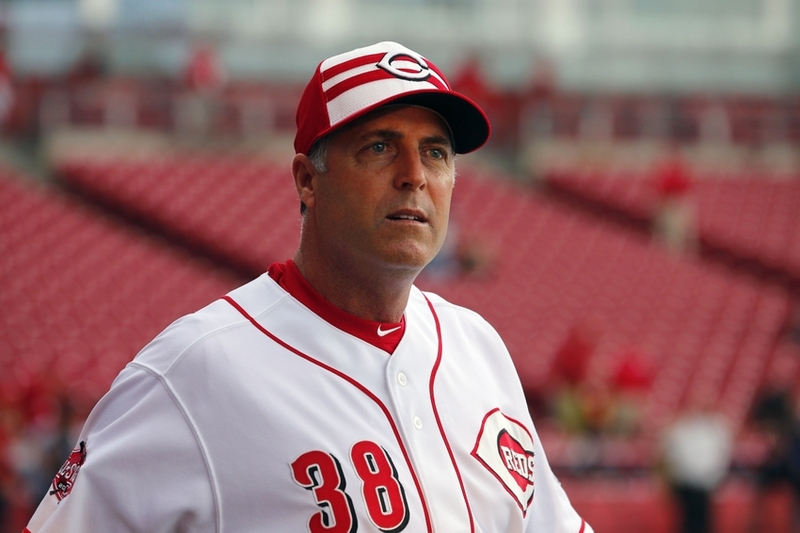 This will be Bryan Price's last season at the Reds' manager. I honestly don't understand how he still has his job. 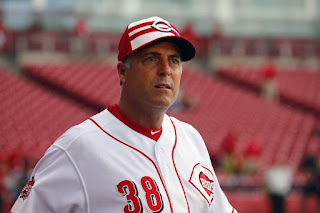 Bryan Price's background is as a pitching coach, yet he has had zero success developing any of the Reds' pitchers so far. This will be his 5th season at the helm for the Reds, and in that time the pitching has been the team's weakness. You would think a pitching coach would improve the pitching a little bit? I predicted this firing 2 years ago, and yet he is still around after two more terrible years. He has to be nearing the end of his leash, right? The Detroit Tigers started to hit the reset button on their roster at the end of 2017. Was it enough to compete with a new core in 2018, or will they have further to fall before they get better? The Tigers were a much better team than their final record ended up showing. However, once they decided to start selling key pieces like Justin Upton, J.D. Martinez, and Justin Verlander, the season went south in a hurry. Brad Ausmus was always touted as one of those players that would make a great manager, but his marriage with the Tigers was a trainwreck. I predicted he would be fired mid-season. It was announced he would be fired before the end of the season, but he was allowed to finish the year. I hope he gets another opportunity to manage at some point. I am not willing to write him off as a failure just yet. The Tigers continued to transition into re-build mode throughout the offseason. The biggest name moved over the offseason was All Star second baseman Ian Kinsler being traded to the Angels. There were rumors surrounding players like Miguel Cabrera and Michael Fulmer, but nothing ever materialized. Outside of a a veteran signing here or there of guys like Leonys Martin, the Tigers felt content with developing a new young core alongside the remaining veterans they can't / refuse to move. 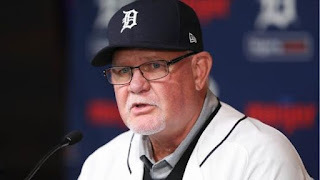 Possibly the biggest offseason transaction was hiring Ron Gardenhire as their new manager. One of the most respected coaches in all of baseball, Gardenhire will be a welcome stabilizing force after the dysfunction that marred Ausmus's tenure as manager. Even through a rebuild, the Tigers start and end with Miguel Cabrera. We seemed to watch him age 10 years before our eyes during 2017, going from one of the greatest offensive forces of his generation to a broken down veteran on the brink of retirement in one season. In his age 34 season, Miggy had a negative WAR in 2017. Outside of his rookie season, he has only posted a WAR below 3.0 once (his first season in Detroit). There has to more in the tank, at least the Tigers are hoping so. He is under a behemoth contract through 2023, with two option years on top of that. 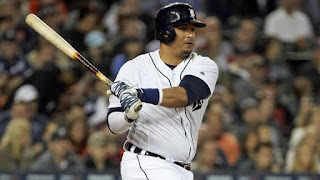 Cabrera needs to be more than the shell of himself he was in 2017, either so Detroit can get more production out of his contract or to give him trade value so someone is convinced he is worth dealing for. Either way, this is an important year for Miggy and his relationship with the Tigers. Daniel Norris was the key piece the Tigers received back in the David Price trade with the Blue Jays in 2015. He was thought to be a potential ace of the staff moving forward. However, his Tiger career has been defined by injuries and disappointment instead of production and success. The ability of a player like Norris to finally deliver on his potential will determine how long this Tiger rebuild will take. Franklin Perez was the key piece Detroit got back in last year's Justin Verlander trade with the Astros. 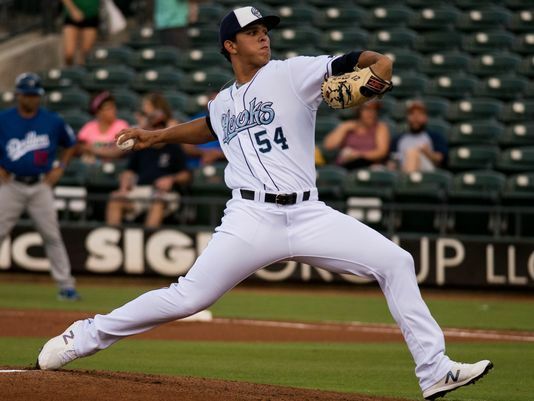 Sometimes, it takes years to see the true results of a prospect-laden deal like this one, however Perez has a good chance of playing a role for the Tigers this season. This 20 year-old hurler should be a fun rookie to watch the second half of this season, especially if the Tigers are out of contention. Unfortunately, it looks like the Tigers are still working their way down to rock bottom before they can start getting better. They do have some decent prospects working through their system, especially on the pitching end, but most are not as close to contributing as Perez. They remind me of the Philadelphia Phillies a couple years ago. They got stuck being over-committed to some veterans past their prime that they needed to stick with before they could move on and improve. 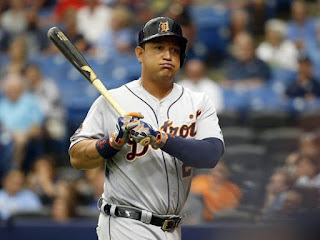 The Tigers are hoping this isn't the case quite yet with guys like Cabrera, Victor Martinez, and Jordan Zimmermann, but they are looking more like terrible investments that will hurt the franchise for the next few years. 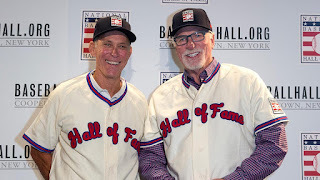 The highlights of the Tigers' season will occur in July when Tiger legends Alan Trammel and Jack Morris are inducted into the Hall of Fame. 2018 will be Victor Martinez's last season, and he will not finish it on the Tigers' roster. Victor Martinez is entering his age 39 season, which is also a contract year for him. After injuries plagued his 2017 season, Martinez needs to show he can still be of value to a team. 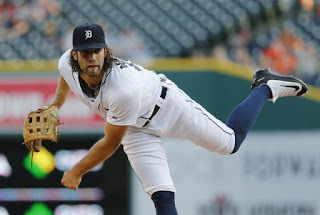 Either he shows there is still a little in the tank and gets traded to a contender, or he shows that the tank is empty and the Tigers release him. Either way, he doesn't end the season as a Tiger, and this is probably his last dance. It is a magical time of year. Pitchers and catchers have reported to Spring Training, and the rest of the players are not far behind. We are less than a week away from the first Spring Training game, and before we know it, we will be in the middle of another outstanding baseball season. This offseason has been unlike any other, with many of the top free agents still looking for jobs as camps open. Players are looking to cash in with big contracts while clubs are scared of signing the latest free agent bust. The trade market has been rich, with many teams searching for alternate solutions to upgrade their roster. As I start my pre-season profiles for each club, there are still many unanswered questions for many players and many teams. As we go from last to first, we start with one of the most active teams of the offseason as they seemed determined to go from average and emerging to terrible and rebuilding. The Marlins will trade for Jose Quintana mid-season. The Marlins finished with almost the exact same record as they did in 2016, however the weak NL East had them finish in second. 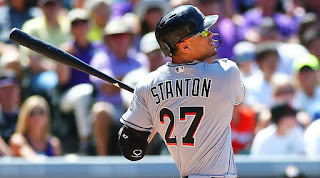 After tragically losing one of the faces of the franchise in Jose Fernandez at the end of the 2016 season, their other face, Giancarlo Stanton, had a career year that ended in him winning the NL MVP award. I thought the Marlins might make some moves to really try and compete, with the starting rotation being the biggest hole in their roster. Instead of making a splash for a guy like Quintana, the splash came in the new ownership group that was in place by the time the season ended. With Derek Jeter & Co. now owning the Marlins, the philosophy of the franchise took a complete 180. Instead of trying to find new ways to complement their strong lineup, the new ownership group decided the status quo was not sustainable financially. If they needed to shed payroll, they needed to just blow up the current core and start over. That is exactly what they did. Gone are All Star caliber players like Dee Gordon, Christian Yelich, Marcell Ozuna, and reigning MVP Stanton along with the hundreds of millions of dollars committed to them. Prospects were brought back, but some of the trades were simply salary dumps when you see the level of prospects they got in return. The franchise had a complete reset, with second baseman Starlin Castro being the only established major leaguer brought back in any transaction. 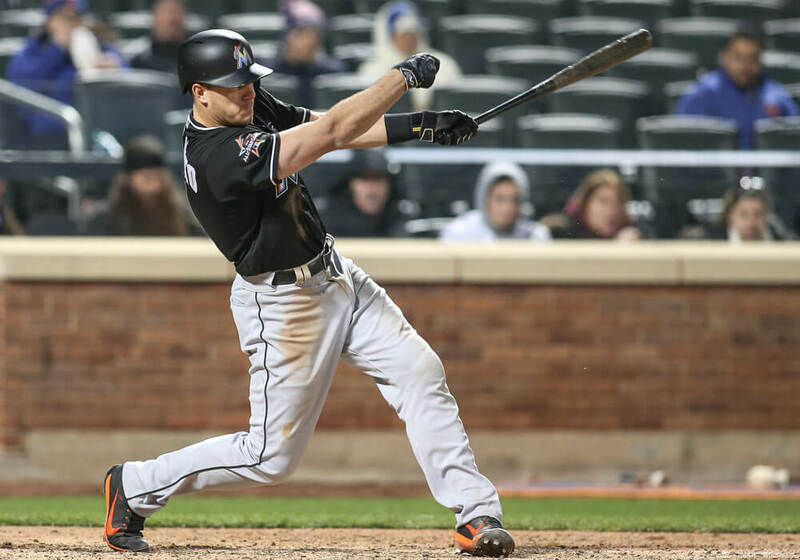 Along with Justin Bour, Realmuto is one of only two remaining members of the former Marlins core still on the roster, and he is not happy about it. He has been very vocal this offseason about the fact that he wants to be traded as well so he has a chance to compete. This makes him valuable to the Marlins because if they do decide to move him (which might be necessary if he becomes a cancer in the locker room) he should bring back a decent haul. Yelich brought back the best haul of the offseason trades. A similar haul might be in the cards for Realmuto, a 27 year old catcher with pop getting ready to enter his prime. 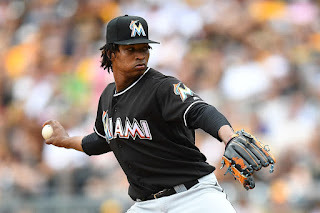 In a year where the pitching staff was the downfall of the Marlins, Urena was a bright spot in 2017, going well over 100 innings for the first time in his career. He was effective in those innings, earning 14 wins, a 3.82 ERA, and a 106 ERA+. This makes him the only Marlins pitcher with more than 10 starts that was above league average (ERA+ 100). All of this is promising, considering he is only entering his age 26 season. This may be the future ace of the staff if he isn't already. He may be one of the few things Marlins fans have to look forward to. By far, the best prospect the Marlins got in their wheeling and dealing this offseason was Lewis Brinson from the Brewers in the Yelich deal. 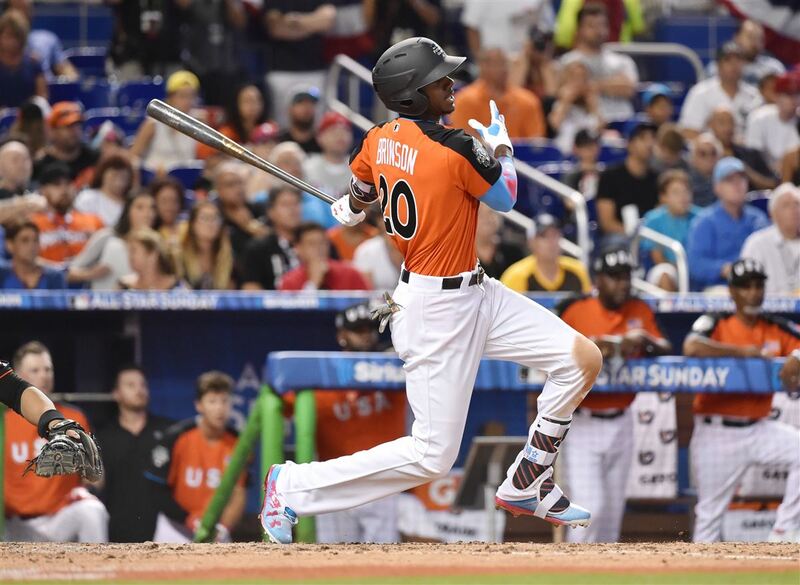 He has been one of the top prospects for the last few years in all of baseball, and he is slated to be the Marlins Opening Day centerfielder. 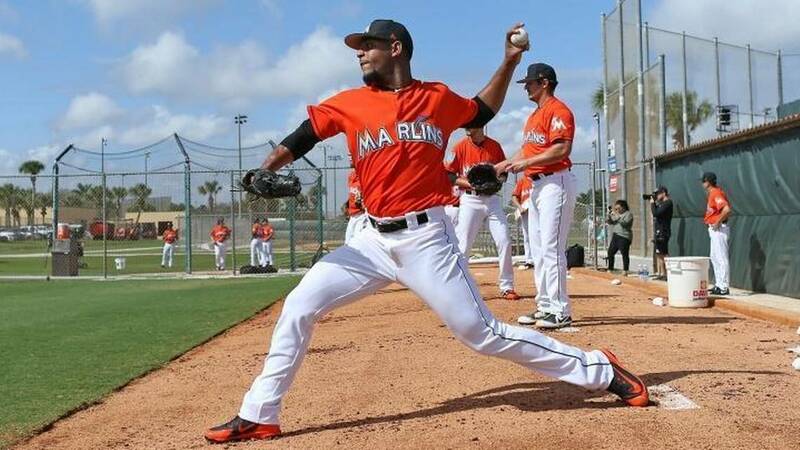 He has a real chance of becoming a star and a new face of the new Marlins for the foreseeable future. Almost by design, the Marlins have the worst roster in the league by a decent amount. They seem to be trying to employ the Astros blueprint of success. Tear down to nothing and rebuild around some top draft picks. The problem with this method is it takes several years to see any results. Expect at least two or three 100 loss seasons before the Marlins improve. Half of the Marlins Opening Day starting lineup will not be on the roster by season's end. The Marlins can't be done unloading pieces. They should probably pick up a couple veteran players that are still in free agency to fill out their roster so they can at least look respectable on Opening Day. However, look for players like Martin Prado, Starlin Castro, J.T. 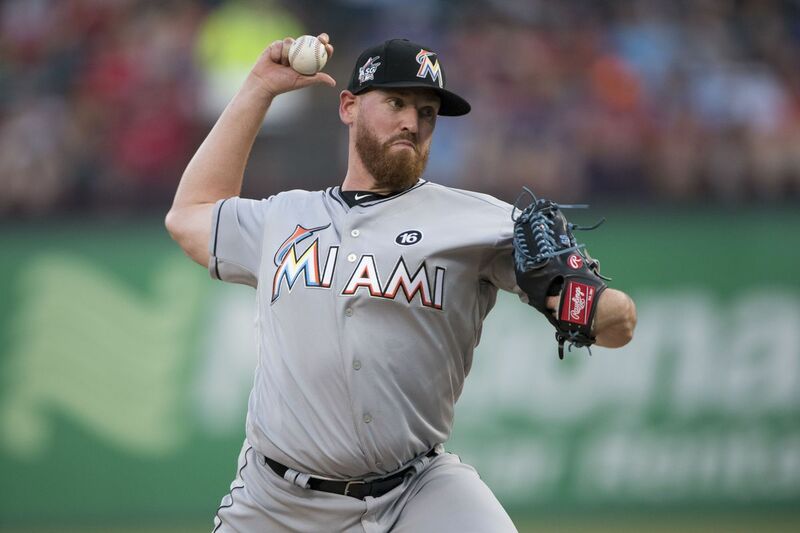 Realmuto, Justin Bour, Dan Straily, Wei-Yin Chen, and whatever veterans they might pick up along the way to either be traded or dropped by season's end.